That being said, relevant is the keyword here. Higher traffic numbers can be achieved with a number of ethical and unethical SEO practices. However, when users don’t find what they are looking for on your website, they “bounce”. Higher bounce rates are not just bad for your SEO, it's also an indication that you are wasting precious time and resources. After all, what is the point of having 100,000 unique impressions if none of the audience is interested in your product/service? 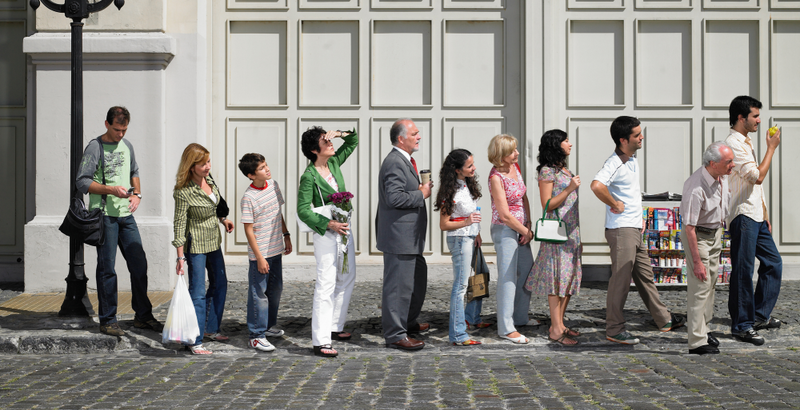 When do visitors bring more profits? More visitors mean more profits only when you direct relevant traffic to your site. If the person landing on your site isn’t a potential user, you will still have more traffic but that won’t necessarily translate to more sales. While traffic is not a direct ranking factor, it does impact your SEO strategy and can boost your presence in the search results thereby making you more visible to your target audience. When more people land on your website and interact with the content, it gives the search engine as a signal that your website has something of value to offer. This signal, in turn, is a motivation for the search engines to place your website higher in the SERPs, essentially driving more traffic to your website. In the case when users are truly finding your content useful, even if it's just the content on your blog, they can be directed into a conversion funnel. As a result, a boost in traffic will give you more leads to pursue, which will then translate into better revenue numbers. Let’s look at how traffic can be translated into conversions. Driving more traffic to your website has numerous benefits - one of which is increased conversions. But it is crucial to keep in mind that the increase in traffic won’t necessarily result in the same conversion growth - because a part of that traffic might be irrelevant to your business. This is where great optimization and quality content drive a difference. If your website, besides the product/services pages, has quality content that informs and educates the users, you can use the same to build an email list. This email list can then be sent intuitive and appealing information about your products to make sales. Since the people that sign up for your email list are already interested in the kind of information your website has, chances of converting them into paying customers are better. All this, of course, only works when you understand the importance of top-of-the-funnel keywords and quality content to support them. If your website is not optimized for the right keywords, or is lacking in terms of quality of content, the users will still land on your website, and may even give you their email address, but will never convert. For this reason, it is important, especially for business websites, to drive precisely targeted users to their website. When we look at traffic and conversions as separate metrics, while one affects the other, it is the conversion that actually matters for a business. 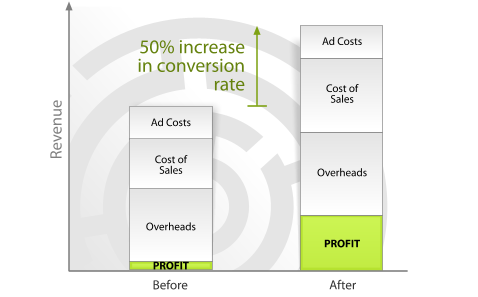 Conversion rates directly impact your profits unlike traffic - increased traffic may or may not bring profits. Understand your target audience in depth, and design website communication to address their pain points, instead of simply boasting the USPs of your product/service. Add your contact details (phone number, email address, your physical address) to make it easier for your audience to reach you. Include an explainer video on your landing page that explains your business. This helps break the ice and allows potential customers to gain clarity about your offerings. Write a compelling CTA and direct the user towards it using directional cues. Much of your business’ potential to make profits relies on gathering the crowd. In an offline scenario, that is what matters. But the same also applies to the online landscape now. 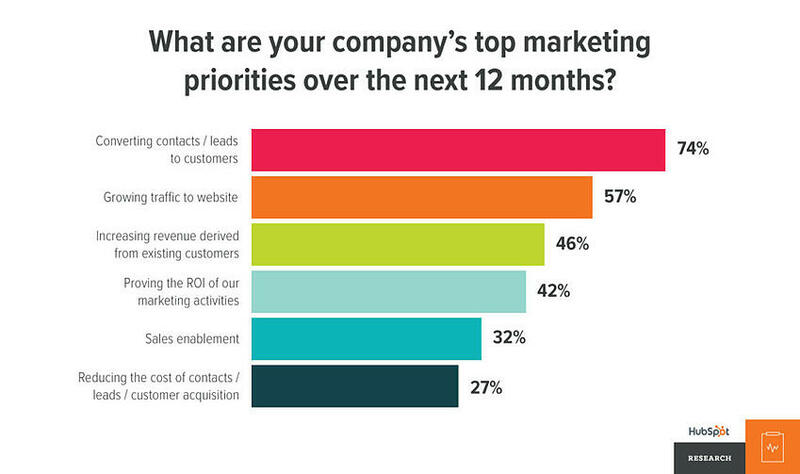 If you are able to get more people to your site, your sales opportunities increase tremendously. Average landing page conversion rates, across industries, are a little over 2%. That means, on an average, for every 100 users that land on a website, only 2-3 end up making a purchase. However, the top 10% websites, in terms of conversions, have a minimum conversion rate of 11.45%. This drastic difference can be attributed to well-thought-out SEO strategies, the use of the best ecommerce platforms, along with an abundance of actionable and informative content. That being said, more visitors to your site means awareness about your brand. And an increase in awareness can be beneficial in improving your sales. In fact, an increase in positive awareness of your brand can directly translate into better customer retention and free word-of-mouth advertising. Let us understand exactly how your existing traffic can be converted into advocates of your brand. Offer insightful information relevant to your niche. If a user then finds this information useful, they are sure to recommend your website to their peers. Moreover, if your content truly gives out useful information, other blogs in your niche may start linking to it in their work. This will help you drive more relevant traffic to your website. Deliver value through email campaigns. While email campaigns remain one of the most effective ways to close sales, if all your emails are simply promoting your offerings, you can expect a sharp decline in your signups. On the other hand, if your emails contain actionable information that makes the lives of your visitors and customers better, they are more likely to not just stay connected with your brand, but to introduce their friends to your brand as well. This in no way means that you cannot utilize email campaigns for promotions. Simply mixing promotional messages with insightful information will drive visible results. Offer something unique. Another trend that can be noticed in the top converting websites is that they all have a unique offering that helps them stand apart from their competition. Maybe that free trial is not something your current audience is looking for, maybe they are more interested in an ebook that enables them to deal with their pain points. If that is the case, give your audiences an ebook, collect their email addresses in exchange, and start drip-feeding them content that will ultimately convert them into paying customers. Getting high traffic to your website shouldn’t be your only goal. Because when you are aiming for more profits, visitors alone aren’t going to produce the results for your business. Ultimately it is the conversion that will help you make more profits. Be that as it may, conversions can be complex. Simply looking at the conversion rate percentages may not be the answer to better sales digits. You also need to ensure you are attracting only high-quality leads that show a promise of sale when sent down a conversion funnel.